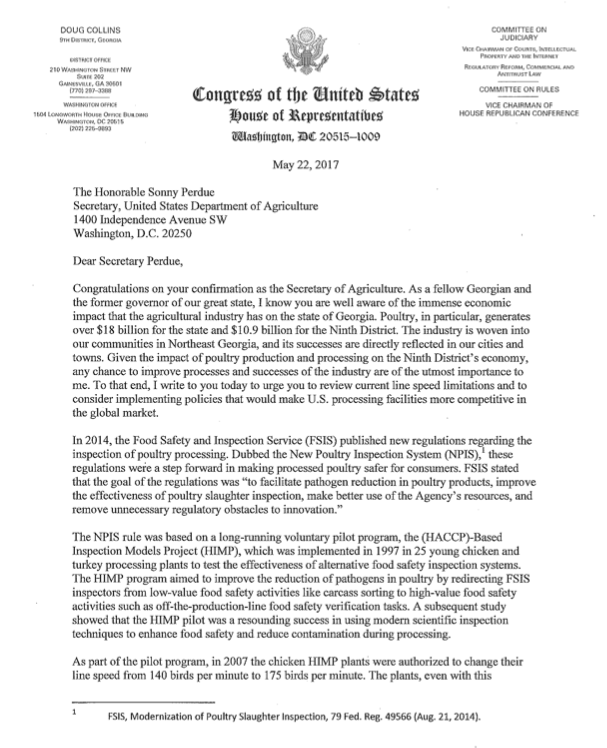 WASHINGTON—Today Congressman Doug Collins (R-Gainesville) sent a letter to Agriculture Secretary Sonny Perdue urging him to consider implementing policies that would make U.S. poultry processing facilities more competitive in the global marketplace. 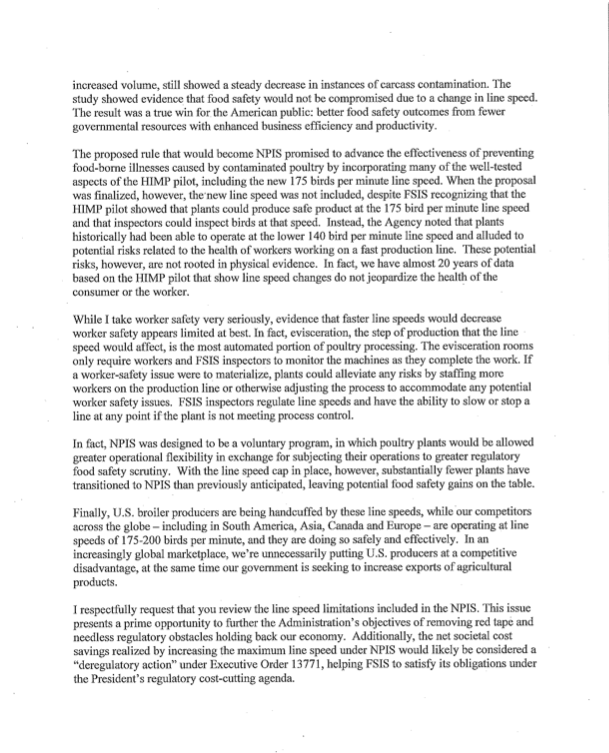 Currently, poultry producers in South America, Asia, Canada, and Europe are safely operating at line speeds that outpace the maximum speeds allowed in American facilities, which represents a significant disadvantage to northeast Georgia’s poultry industry and America’s domestic production. Agriculture remains a vital dimension of Georgia’s economy, while poultry production generates more than $18 billion for the state economy and $10.9 billion for the Ninth District economy annually. The United States Department of Agriculture’s (USDA) Animal and Plant Health Inspection Service (APHIS) has confirmed the presence of highly pathogenic H7 avian influenza (HPAI) in a commercial chicken breeder flock in Lincoln County, Tennessee. There have been no reports of Avian Influenza in Georgia. 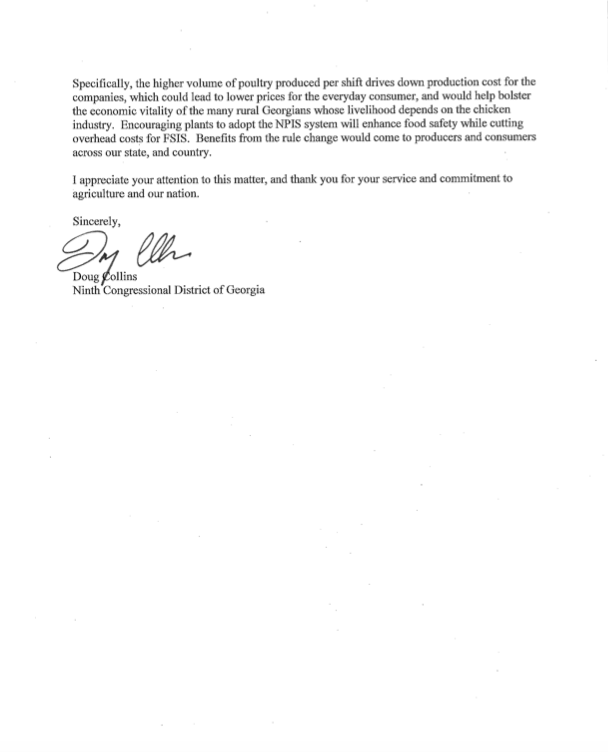 The Georgia Department of Agriculture continues to be vigilant in surveillance efforts and working with growers in their practice of bio-security measures. 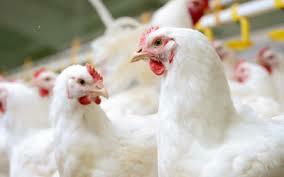 HPAI is a contagious disease of poultry that causes high mortality in affected flocks. It spreads easily and can devastate commercial and backyard flocks if left uncontained. HPAI is classified as a Foreign Animal Disease. Because of this it is essential that every occurrence of the disease be found and eradicated as soon as possible. Signs of Avian Influenza include sudden increase in bird deaths, swelling of the head, eyelids, comb, wattle, or hocks, and purple or darkened color of wattles, comb, or legs. Other signs include coughing, sneezing, nasal discharge, lack of coordination or paralysis, diarrhea, particularly green in color, ruffled feathers, lethargic and poor appetite, and drop in egg production or softshell or misshapen eggs. These signs may occur one at the time or in combinations. Gilmer and several other north Georgia Counties are home to a large commercial poultry industry and a growing number of backyard flocks. Because of this news, anyone that is involved with any type of poultry should review their biosecurity measures. In this article is information from various State of Georgia departments that will better explain the severity of this outbreak. HPAI is known to be deadly for domesticated chickens and turkeys. HPAI does not pose a risk to the food supply. The risk of human infection with avian influenza during poultry outbreaks is very low. Owners of commercial and backyard poultry flocks are encouraged to closely observe their birds and report a sudden increase in the number of sick birds or bird deaths to the state veterinarian’s office at (855) 491-1432. For more updates and information regarding biosecurity tips visit www.ga-ai.org or www.allinallgone.com. Additional information is also available at local County Extension Offices. At their August 9th meeting, Fannin County Board of Commissioners discussed Project Chimps’ application to bring 80 chimpanzees to live in its sanctuary in Fannin County. The chimpanzees are to arrive in groups of nine to ten over the next year. In all, Project Chimps will bring approximately 240 chimpanzees over a period of five years. The Commissioners voted to review the application at the next County Commissioners’ meeting on August 23rd at 6 pm in the Fannin County Courthouse. The Commissioners’ actions came as a great surprise to Fannin residents, Project Chimps and national organizations that have been pushing for the retirement of New Iberia Research Center’s chimpanzee population. New Iberia Research Center, operated by the University of Louisiana – Lafayette, currently houses the chimpanzees. Project Chimps arrived at the Commissioners’ meeting expecting to give a presentation to the Commissioners before they voted on the application. Post-Commissioner Earl Johnson said he understood Project Chimps had obtained legal counsel. Sarah Baeckler Davis, President and CEO of Project Chimps, stated that they had obtained David Ralston as a consultant, not as their attorney. David Ralston represents Georgia’s 7th District, which includes Fannin County, and is Speaker of the House for Georgia General Assembly. Chairman Simonds said, “I don’t know if we can vote on it yet.” Mr. Johnson then asked County Attorney Lynn Doss what the appropriate procedures would be for speaking with Project Chimps during the meeting. Ms. Doss confirmed that the Commissioners need to send comments to her and she will pass the comments on Mr. Ralston. 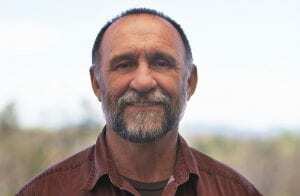 Post-Commissioner Larry Joe Sosebee stated he felt Project Chimps’ obtaining representation by Mr. Ralston was a push to get us [the Commissioners] to vote. However, during Public Commentary and Commissioners’ Commentary, the Commissioners openly discussed Project Chimps with the organization and Fannin residents in attendance. Project Chimps’ President and CEO, Sara Baeckler Davis, spoke second during Public Commentary. She did not give her prepared presentation. Ms. Baeckler Davis did, though, give an overview of Project Chimps and how it impacts Fannin County. She spoke about safety measures in place and how the facility will provide jobs and educational opportunities for Fannin residents. She said that Project Chimps has been overwhelmed by public support from the community. Ms. Baeckler Davis said that before coming in front of the County Commissioner, she wanted to have her federal and state permits in place since the Commission could not vote on her application without the two permits. On July 8th, Project Chimps obtained the United States Department of Agriculture permit and on July 25, it obtained the Georgia Division of Natural Resources permit. Chad Bowers, owner of Better Building Systems, Inc. in Blue Ridge, was the first Fannin resident to speak. He is the General Contractor for Project Chimps. He stated that the organization has already brought $200,000 into his Fannin County business and he estimates around $200,000 more in the near future. Next up was a neighbor of Project Chimps, Dawn di Lorenzo. Ms. Di Lorenzo lives on Loving Road, which is close to Project Chimps’ facility on Lowery Road. She said she is delighted the project will be in the community and she wasn’t aware there was any downside. Janice Hayes of the Cohutta Animal Clinic and Gary Steverson, owner of Blue Ridge Cotton Company, also spoke in favor of Project Chimps. Next up was Mike Seres, Director of Chimpanzee Management at Project Chimps. He stated he has over 40 years’ experience re-socializing and integrating groups of chimpanzees. His last full-time position was for five years as Great Ape Behavioral Consultant at Kumamoto Sanctuary which is part of Kyoto University in Japan. No one spoke against Project Chimps during Public Commentary. During the Commissioners’ Commentary, the Commissioners questioned Ms. Baeckler Davis and also gave comments about the project, even though they stated earlier in the meeting that they would not make public comment, but pass all information through County Attorney Lynn Doss. First off was Commission Chair Bill Simonds. The direction of his questions was about the long-term funding sources for Project Chimps. He said he understands that Project Chimps wants to bring 240 individuals that have a life span of 40-60 years. Mr. Simonds said that it was one long commitment and in 40 years people in this room won’t be around to worry about it. Ms. Baeckler Davis affirmed that the organization is not receiving any federal or state grants. However, the organization is receiving donations from private individuals, other non-profits, and New Iberia Research Center is also contributing money as part of its contract to retire the chimps at the sanctuary. Ms. Baeckler Davis also reminded the Commissioners about the timeline for arrival of all 240 chimpanzees. The chimpanzees will arrive in social groups of 9 to 10 animals at a time. The application is for 80 chimpanzees because that is what the facility can accommodate at this time. Later groups will move in as the facility expands, which will take a total of five years. She also said that the chimpanzees must have health certification, which, according to federal regulations can only occur one-month prior to transportation from Louisiana to Georgia. At the end of his comments about the application, Mr. Simonds stated that he did not want Fannin county residents to be stuck with caring for the chimpanzees because donations to Project Chimps ran dry. Post-Commissioner Larry Joe Sosebee was next. His line of questioning was about the health of the animals. First, he wanted to know if the chimpanzees are newly-arrived from Africa. Then he questioned about what kind of biomedical research the chimpanzees were used for while they were at New Iberia Research Center. Ms. Baeckler Davis did not answer this questions. But, she did say that to pass health inspection, which each animal must have before coming to Fannin County, a veterinarian must state that the animals are healthy and not carriers of disease communicable to humans. Also, the chimpanzees must have rabies, tetanus, pneumonia and tuberculosis vaccines. She said Project Chimps’ application contained a letter from the attending veterinarian at New Iberia Research Center confirming the animals are free of communicable disease and have had required vaccinations. She reminded the Commissioners that the chimpanzees also have USDA and Georgia DNR permits. Next, Post-Commissioner Earl Johnson “wanted to clear the air.” He said that this (Aug. 9th) evening was the first time he had received information about Project Chimps and he received it at 5:15, 45 minutes before the meeting. He said that the only communication that has been done was through County Attorney Lynn Doss and she doesn’t vote. He also doesn’t want his vote to be a knee-jerk reaction. In balance to Mr. Johnson’s statements, FetchYourNews reports FetchYourNews reports that a formal announcement of Project Chimps was not made until early May 2016 because negotiations between Project Chimps and New Iberia Research Center had not yet been completed. Then in early May, newswire sources like the Associated Press carried stories about New Iberia Research Center’s chimpanzees moving to Fannin County. This was publicized by other media outlets. Project Chimps’ team meets with Fannin County EMA. 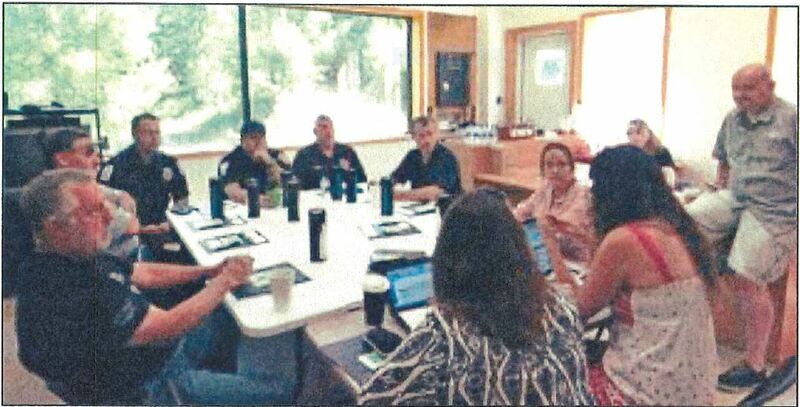 Project Chimps met with Fannin County Emergency Management Agency in early summer to discuss safety at the facility. Project Chimps formally applied for the exotic animal permit on July 15, 2016. 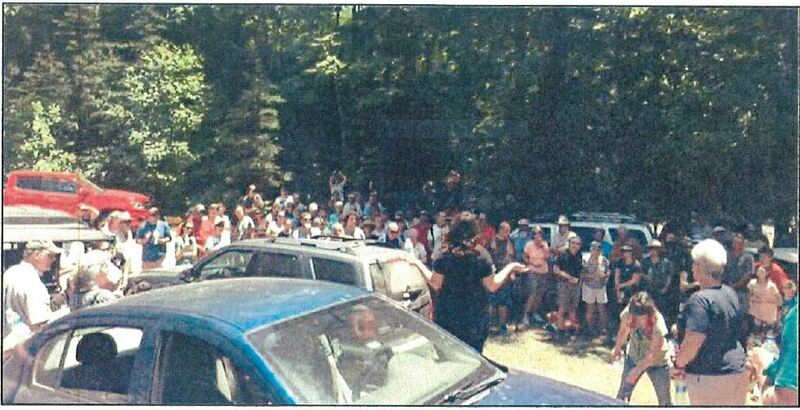 And, Project Chimps’ Open House on June 25th had over 300 attendees and was well-covered in local media. Open House attendees listen to Ms. Baekler Davis describe the facility. FetchYourNews also asked Marie Woody, the Chief Land Development Officer for Fannin County, when she was able to officially inform the Commissioners about the arrival of Project Chimps. Ms. Woody said that Project Chimps delivered their building permit application in late afternoon on Friday, July 15th and she informed Commission Chairman Bill Simonds and County Attorney Lynn Doss on Monday morning, July 18th. Then, Mr. Johnson went on to list his concerns. First and foremost are his concerns about security; can chimpanzees escape the facility or uninvited humans or animals get in? He also wanted to know if security barriers will hold up if a tree falls on them. Another concern is what biomedical tests the chimps were involved in and if this can pass to humans through birds or squirrels which will get into the open-air space. He stated that Robert Graham, Director of Fannin County Emergency Management Agency, should be involved in the decision. He said we should have started talking about this three months ago. FetchYourNews reports that the facility Project Chimps owns was donated by Dewar Wildlife Trust, which ran the facility as Gorilla Haven. It housed 1-4 male gorillas, most notably Zoo Atlanta’s Willie B. Jr. and Jasiri. The gorillas are no longer there and the facility has been retro-fitted to house chimpanzees. Security walls and fences from the gorilla facility remain. There are is no publicly available record of Gorilla Haven’s gorillas transmitting illness to humans in Fannin County, nor is there any record of escape. This is the first in a series of articles FetchYourNews is writing about Project Chimps. In the next article, FetchYourNews interviews Mike Seres, Director of Chimpanzee Management and Sarah Baeckler Davis, President and CEO of Project Chimps. Following articles will examine Commissioners worries about safety, health and funding in comparison to national data and Project Chimps’ facility. This article has been updated from the previous version published on August 13. The Commissioners did not vote against the Project Chimps’ exotic animal application; they voted to review the application at the next County Commissioners’ meeting on August 23rd at 6 pm in the Fannin County Courthouse. Project Chimps is at the former Gorilla Haven facility which housed 1-4 male gorillas, most notably, Atlanta Zoo’s Willie B. Jr. and Jasiri. The gorillas are no longer there and the facility has been retro-fitted to house chimpanzees. Project Chimps arrived at the Commissioners’ meeting expecting to give a presentation to the Commissioners before they voted on the application. Post-Commissioner Earl Johnson said he understood Project Chimps had obtained legal counsel. Sarah Baekler Davis, President and CEO of Project Chimps, stated that they had obtained David Ralston as a consultant, not as their attorney. David Ralston represents Georgia’s 7th District, which includes Fannin County, and is Speaker of the House for Georgia General Assembly. Chairman Simonds said, “I don’t know if we can vote on it yet.” Mr. Johnson then asked County Attorney Lynn Doss what the appropriate procedures would be for speaking with Project Chimps during the meeting. Ms. Doss confirmed that the Commissioners need to send comments her and she will pass the comments on Mr. Ralston. Post-Commissioner Larry Joe Sosebee stated he felt Project Chimps’ obtaining representation by Mr. Ralston was a push to get us to vote. However, during Public Commentary and Commissioner’s Commentary, the Commissioners openly discussed Project Chimps with organization representatives and Fannin residents in attendance. Project Chimps’ President and CEO, Sara Baekler Davis, spoke second during Public Comments. She did not give her prepared presentation. Ms. Baekler Davis did, though, give an overview of Project Chimps and how it impacts Fannin County. She spoke about safety measures in place and how the facility will provide jobs and educational opportunities for Fannin residents. She said that Project Chimps has been overwhelmed by public support from the community. Ms. Baekler Davis said that before coming in front of the County Commissioner, she wanted to have her federal and state permits in place since the Commission could not vote on her application without the two permits. On July 8th, Project Chimps obtained the United States Department of Agriculture permit and on July 25, it obtained the Georgia Division of Natural Resources permit. Chad Bowers, owner of Better Building Systems, Inc. in Blue Ridge. He is the General Contractor for Project Chimps. He stated that the organization has already brought $200,000 into his Fannin County business and he estimates around $200,000 more in the near future. During the Commissioners’ Commentary, the Commissioners questioned Ms. Baekler Davis and also gave comments about the project, though they stated earlier in the meeting that they would not make public comment but pass all information through County Attorney Lynn Doss. First off was Commission Chair Bill Simonds. The direction of his questions was about the long-term funding sources for Project Chimps. He said that the life span of chimpanzees is 40-60 years and that Project Chimps wants to bring 240 chimpanzees to Fannin County. Mr. Simonds said that it was one long commitment and in 40 years people in this room won’t be around to worry about it. Ms. Baekler Davis affirmed that the organization is not receiving any federal or state grants. However, the organization is receiving donations from private individuals and other non-profits and New Iberia Research Center is also contributing money as part of its contract to retire the chimps at the sanctuary. Ms. Baekler-Davis also reminded the Commissioners about the timeline for arrival of all 240 chimpanzees. The chimpanzees will arrive in social groups of 9 to 10 animals at a time. The application is for 80 chimpanzees because that is what the facility can accommodate at this time. Later groups will move as the facility expands, which will take a total of five years. She also said that the chimpanzees must have health certification, which, according to federal regulations can only occur one-month prior to transportation from Louisiana to Georgia. At the end of his comments about the application, Mr. Simonds stated that he did not want Fannin county residents to be stuck with caring for the chimpanzees because donations to Project Chimps ran out. Post-Commissioner Larry Joe Sosebee was next. His line of questioning was about the health of the animals. First, he wanted to know if the chimpanzees are newly-arrived from Africa. Then he questioned about what kind of bio-medical research the chimpanzees were used for while they were at New Iberia Research Center. Ms. Baekler Davis said that to pass health inspection, which each animal must have before coming to Fannin County, a veterinarian must state that the animals are healthy and not carriers of disease communicable to humans. Also, the chimpanzees must have rabies, tetanus, pneumonia and tuberculosis vaccines before they can leave New Iberia. She said Project Chimps a letter from the attending veterinarian at New Iberia Research Center confirming the animals are free of communicable disease and have had required vaccinations. She reminded the Commissioners that the chimpanzees also have USDA and Georgia DNR permits. In balance to Mr. Johnson’s statements, FetchYourNews reports that in early May, news wire sources like the Associated Press carried stories about New Iberia Research Center’s chimpanzees moving to Fannin County. This was publicized by media outlets. Project Chimps met with Fannin County Emergency Management Agency in early summer to discuss safety at the facility. Project Chimps formally applied for the exotic animal permit on July 15, 2016. And, Project Chimps’ Open House on June 25th had over 100 attendees and was well-covered in local media. Then, Mr. Johnson went on to list his concerns. First and foremost are his concerns about security; can chimpanzees escape the facility or uninvited humans or animals get in? He also wants to know if security barriers will hold up if a tree falls on them. Another concern is what the chimps were tested for and if this can pass to humans through birds or squirrels which will get into the open-air space. He stated that Robert Graham, Director of Fannin County Emergency Management Agency, should be involved in the decision. He said we should have started talking about this three months ago. FetchYourNews reports that a formal announcement of Project Chimps was not made until early May 2016 because negotiations between Project Chimps and New Iberia Research Center had not yet been completed. The Commissioners will reconsider the application at their August 23rd meeting. This is the first in a series of articles FetchYourNews is writing about Project Chimps. 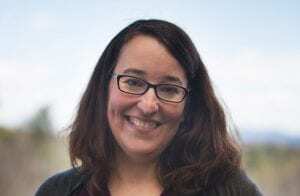 In the next article, FetchYourNews interviews Sarah Baekler Davis, President and CEO of Project Chimps. Following articles will examine Commissioners worries about safety, health and funding in comparison to national data and Project Chimps’ facility.